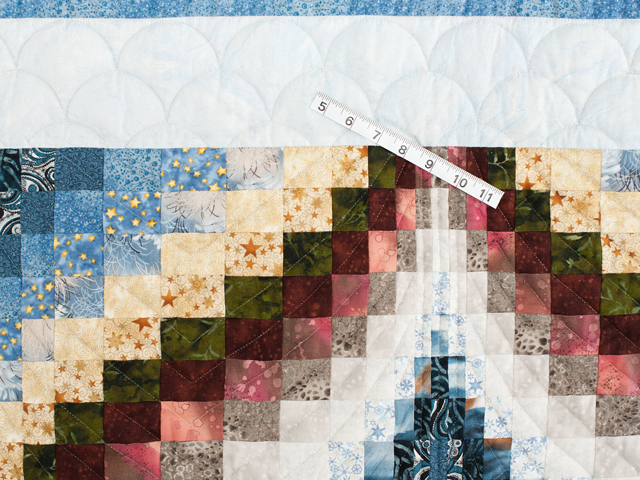 Dreamy ocean scene quilt that would be a highlight in any ocean side cottage. 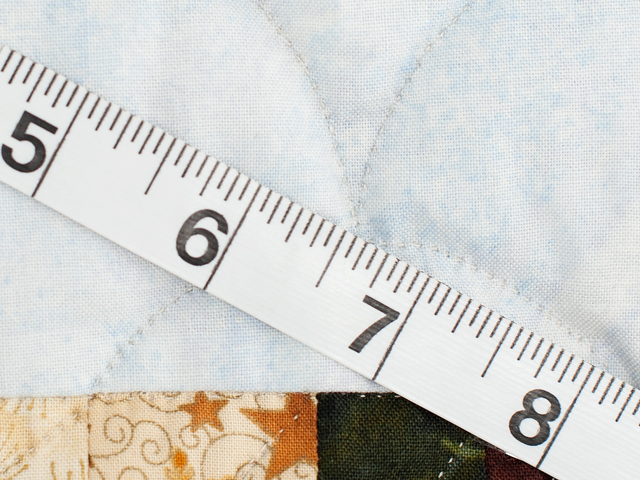 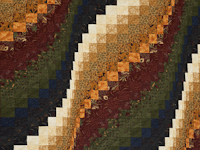 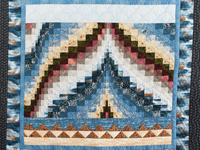 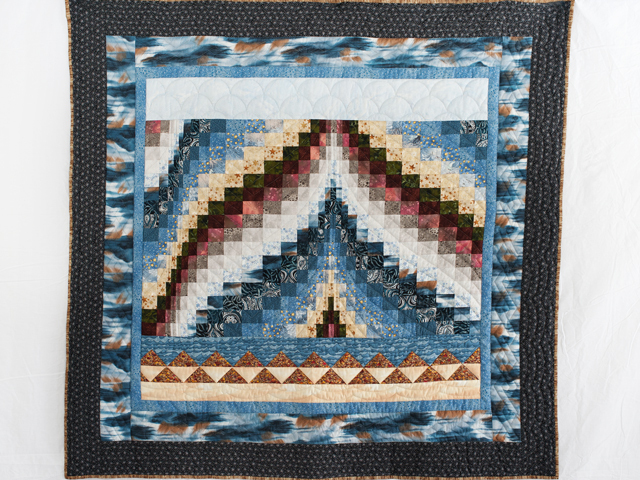 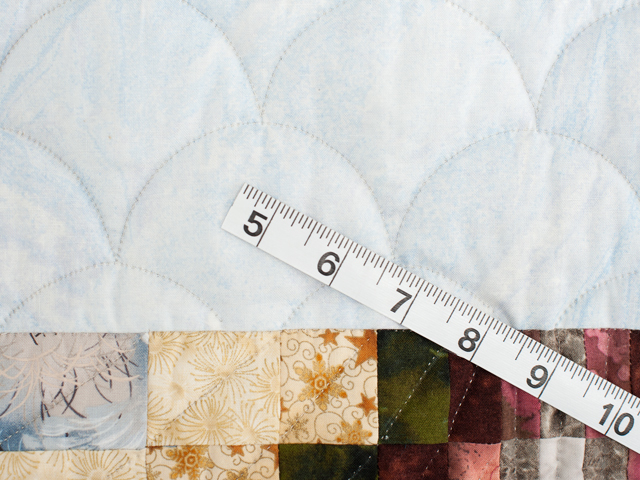 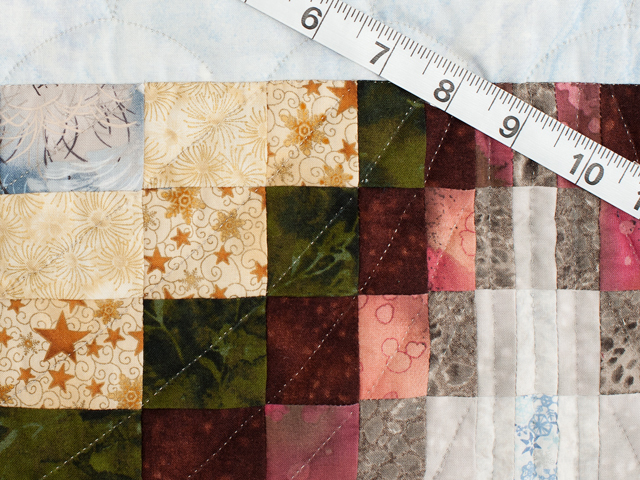 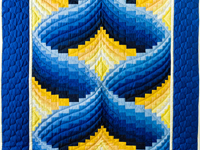 Beautiful blue, tan and brown fabrics are featured in this quilt. 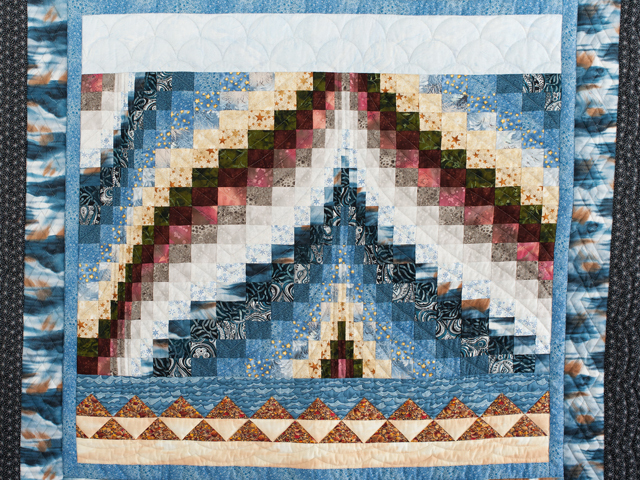 Well made and fabulously hand quilted by a Lancaster County Amish woman in her home.